As we eat and drink, food and bacteria may accumulate in our teeth, which eventually becomes dental plaque. Over time, the dental plaque may calcify and harden to form tartar. While regular brushing and flossing may remove some plaque, they cannot remove tartar. It will have to be removed by a dentist via a procedure called scaling. 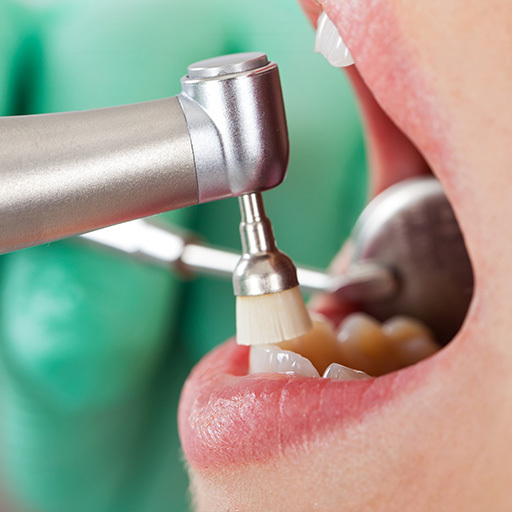 Scaling involves the use of a specialized instrument to loosen and remove plaque and tartar without damaging your gums and teeth. Usually done after scaling, polishing removes surface stains while making your teeth smooth and shiny. Dentist will use another instrument, along with a special paste, to polish your teeth. Any medical or healthcare information provided by us on this website is for reference or educational purposes only and we do not warrant that such information will meet your health or medical requirements. Furthermore, our website is NOT intended for use in diagnosing or treating medical or health conditions, and is NOT a substitute for qualified professional medical or healthcare advice and should not be treated as such. You should always seek advice from a qualified medical professional or other healthcare service provider with any questions you may have regarding a medical or health condition.